Developing a website for your business needs to be a balance between a beautiful design and the right functionality. HiiWP gives you both! 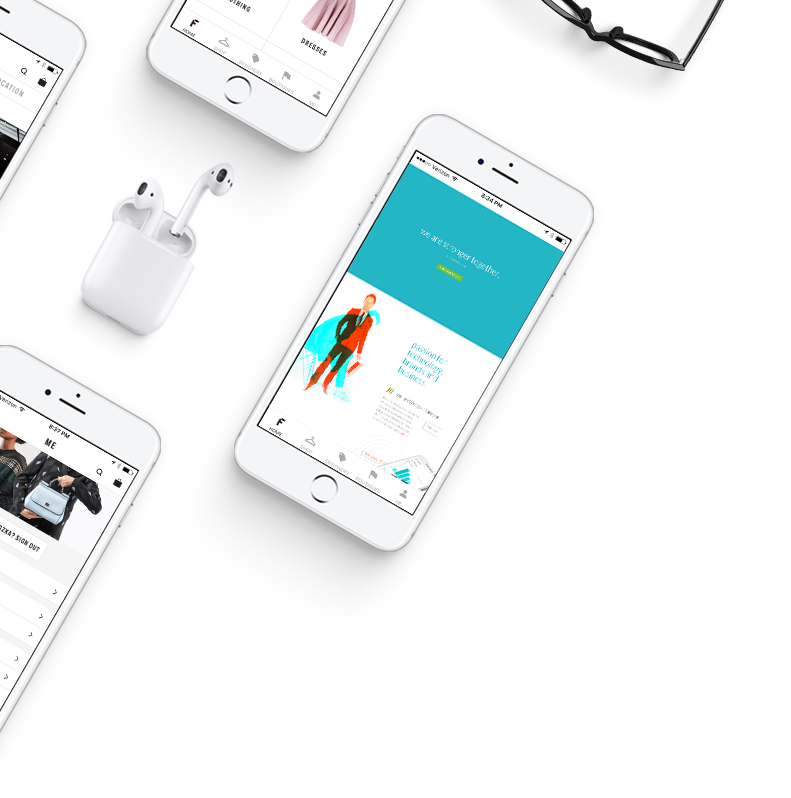 With everything you need and nothing you don’t, our theme provides flexibility to create a beautifully designed site that is optimized for speed. Extremely customizable, WooCommerce ready, and comes with valuable built in add-ons. Get ready to launch your site with a fully supported theme both designed and tested by industry experts. 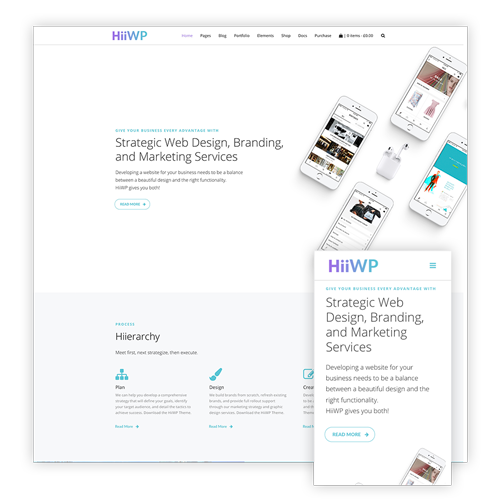 HiiWP is a fully responsive WordPress theme and works perfectly on all browser screen sizes and mobile devices. HiiWP is pre-packaged with a Child Theme, allowing you to fully create your own theme on top of HiiWP while continuing to receive updates to the parent theme with out messing with your child-theme customizations. Use the theme customizer to choose unlimited colors and sizes for all elements, 600+ Google fonts, and a robust backend offer a solution for a variety of business or personal uses. HiiWP comes with complete support for the WooCommerce e-commerce plugin, which enables you to sell your products online. Style your shop pages easily through our admin interface. Design your own site, or download one of our prebuilt design templates to get you going in a matter of minutes. We’re always improving our theme and want to share those improvements with you. Get access to unlimited updates, and whenever you have an issue with our theme or we are here to assist you. We can walk you through the information architecture process of website planning quickly and painlessly. Understanding your needs and goals allows us to thoughtfully develop a website design that will work in tandem with your online marketing strategy. Don’t have an online strategy? We can talk about that too.